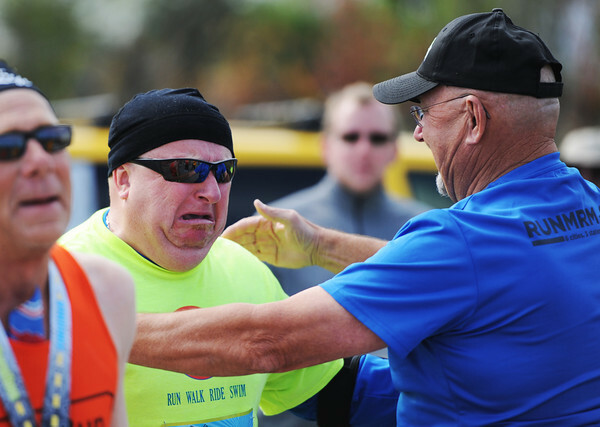 A well of emotion on finishing the half-marathon, Robert Suman gets a hug from Gary Ice, both of Miami, Okla., Sunday morning, Oct. 13, 2013, at the finish line for the Mother Road Marathon at the Joplin Athletic Complex. This was Suman's first half-marathon. Ice, who is the full marathon road manager, has been helping coach Suman and said the participant has made significant progress in his running and he was happy for him.